Adults walking umbrella with transparent dome canopy and coloured trim. 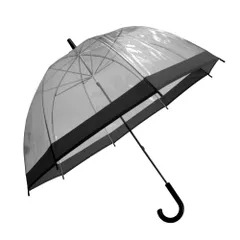 Lightweight metal frame with plastic tip and handle. Diameter: 85cm, Length (Closed): 80cm.